Dornack International has over 30 + years experience in importing and exporting Agricultural and Construction machinery. 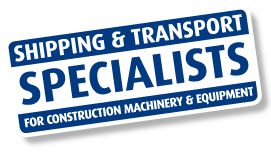 We specialize in the shipment of tractors, combine harvesters, balers, backhoe loaders and excavators to worldwide destinations. Dornack also provide worldwide shipping and transport services.